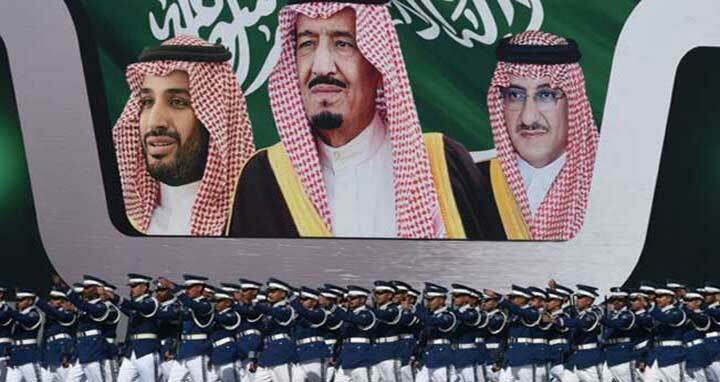 Dhaka, 27 Feb, Abnews: Saudi Arabia’s King Salman reshuffled some of the kingdom’s top military officers and several deputy ministers on Monday in a broad shakeup seen as elevating younger officials in key economic and security areas. The chief of staff was retired and replaced by First Lieutenant General Fayyad bin Hamed al-Ruwayli while new chiefs were appointed to the country’s air defense and land forces, according to royal decrees published by state media. Several new deputies in economic and security-related ministries as well as a handful of new city mayors were appointed, including Tamadur bint Youssef al-Ramah as deputy labor minister, a rare senior post for a woman in the deeply conservative kingdom. The decrees also included the appointment of three deputy governors from among the descendants of Princes Ahmed, Talal and Muqrin – brothers of King Salman, some of whom may have felt sidelined by recent changes since his accession to the throne in 2015. One of them, new deputy governor of Asir province, Prince Turki bin Talal, is the brother of billionaire Prince Alwaleed bin Talal, who was detained in the government’s anti-corruption campaign and only released last month. The way Saudi Arabia is run has seen major changes under 32-year-old Crown Prince Mohammed bin Salman, who rocketed to the heights of power from near obscurity after his father became king following the death of King Abdullah in 2015 and is pushing big economic and social reforms. He is popular with many Saudi youths, who make up the vast majority of the population, but has irked some with his unconventional approach, including a palace coup last summer in which he pushed out his cousin to become heir to the throne.